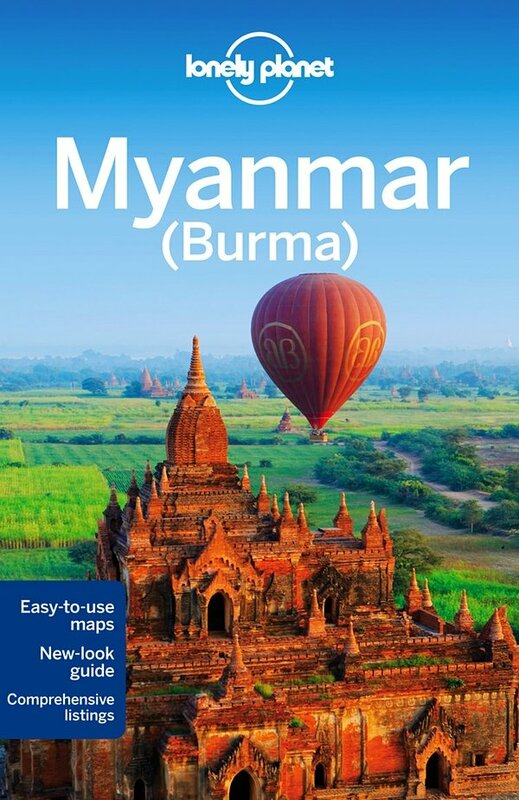 The Golden Rock Pagoda, also known as Kyaiktiyo Pagoda, is one of the most important Buddhist religious sites in Myanmar which attracts large number of pilgrims and sight seers, most of which are from Myanmar. 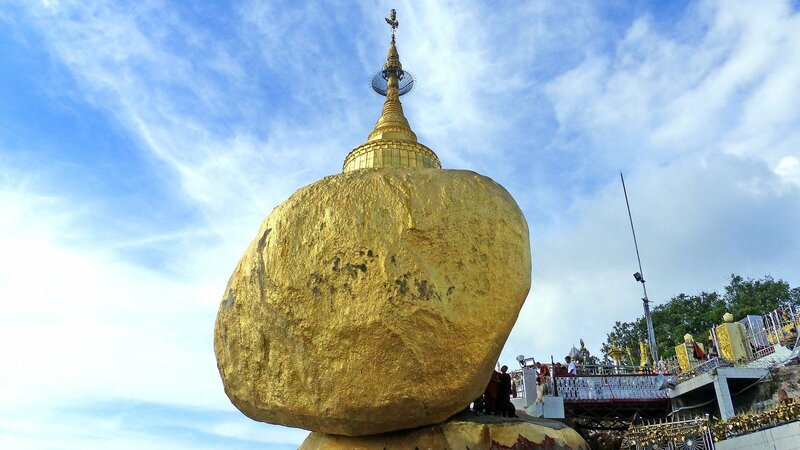 The Golden Rock Pagoda is a stupa built on top of a large boulder which hangs precariously on a cliff edge in the mountains. 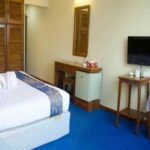 The Golden Rock Pagoda temple complex is open 24 hours a day, and there are hotels within the complex itself where you can spend the night. Admission costs approximately $6 USD per person for foreigners. 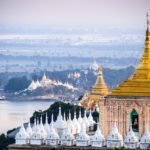 Like many of the religious sites in Myanmar, the Golden Rock Pagoda has an elaborate magical legend behind it. The story is that the Lord Buddha visited the area where the Pagoda is located and gave a hermit one of his hairs. The hermit then took the hair to the King who, possessed of magical powers on account of his father being a wizard and his mother a naga princess, raised a giant boulder from the sea floor which was the shape of the hermit’s head. The boulder was transported to its current site where it is held in place by the power of the strand of the Buddha’s hair that has been placed between the rock and the cliff. The boat which was used to transport the boulder was also, according to the legend, turned to stone and now resides within the same temple complex. Following these events the boulder has been covered in gold leaf and a 7 metre gold stupa built on top. 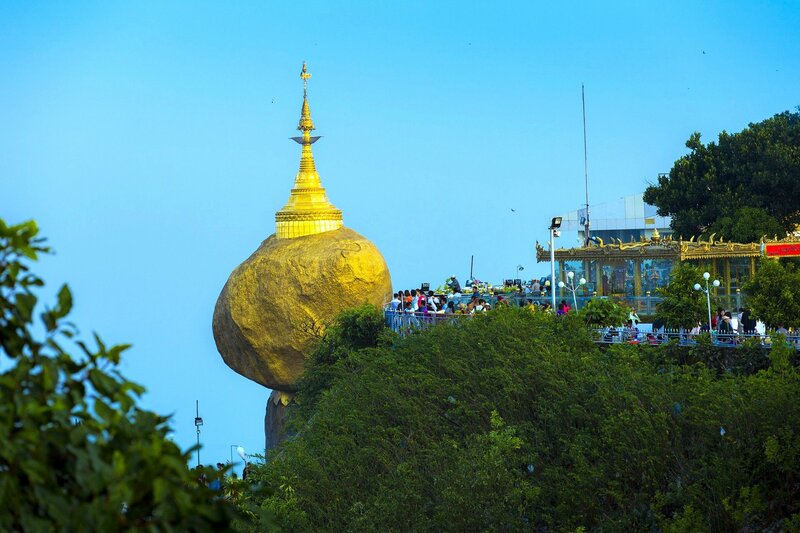 The Golden Rock Pagoda is located about 200 km to the north east of the Yangon. The nearest town with a railway station is Kyaiktiyo. 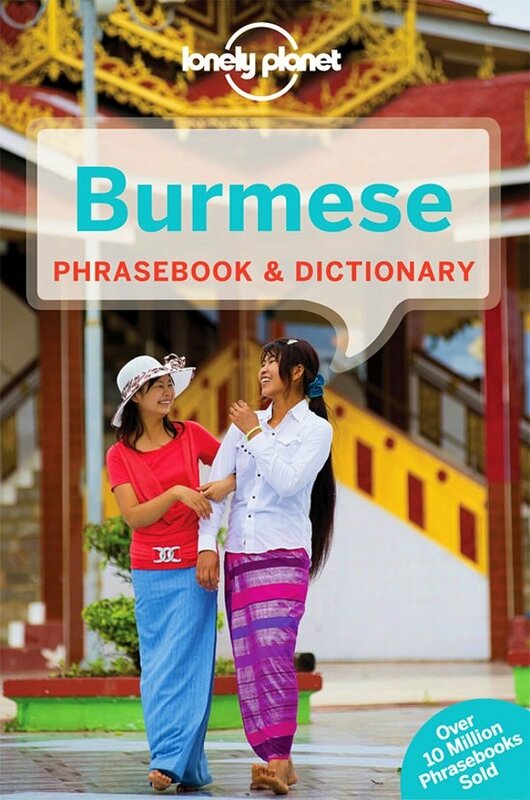 From Kyaiktiyo to get to the Golden Rock Pagoda you then need to travel by bus or taxi to the village of Kinpun. From Kinpun pilgrims can walk to the Golden Rock Pagoda, which is a 5 hour uphill struggle. Most people instead choose to take one of the converted dumper trucks with seats fitted in the back for the journey from Kinpun to the Pagoda. These makeshift people transporters depart frequently and cost about $1 USD per person for the 30 minute journey. The trucks stop someway short of the entrance to temple complex and you need to walk for a further 15 minutes or pay one of the local people to carry you or your luggage for the final stretch of the way. As well as the Golden Rock Pagoda the temple complex at the top of the hill has shops, restaurants and some overpriced hotels, as well as other religious sites to visit. The Golden Rock Pagoda is 28.4 km from Kyaiktiyo Railway Station.